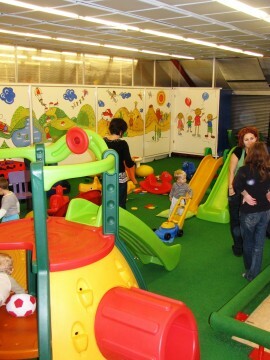 I think I am a bit spoiled by the Clovickov Indoor Playground in Zlicin because this new Clovickov Indoor Playground in Prague 4 looks like a poor sibling in comparison. 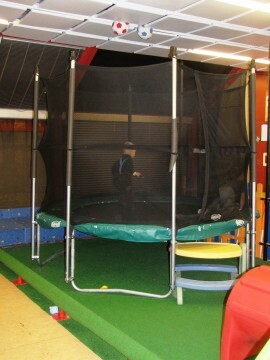 When I went to cover it I was thrilled that they had opened something indoor for kids at Budejovicka street. I thought that this important traffic hub was missing something like this. 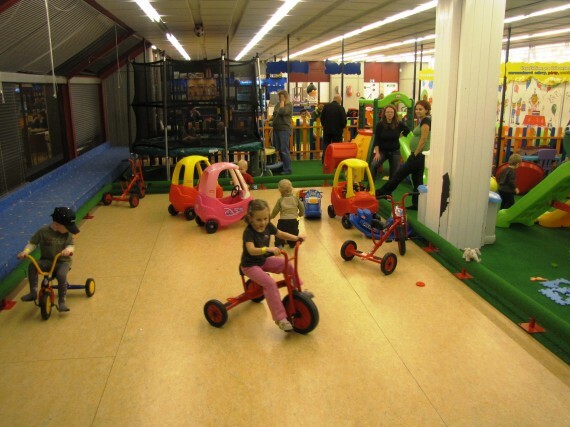 Situated on the 3rd floor of the shopping centre DBK on the corner of Budejovicka and Antala Staska Streets and right next to the entrance of the Metro Stop Budejovicka with a walk through passage containing many shops and boutiques. The shopping centre DBK is a re-constructed communist building and unfortunately the majority of the staff still behave like in old times. If you have ever visited the Kotva Shopping Centre on Namesti Republiky - it is similar in style. So don’t expect a flashy shopping mall - Palladium style. 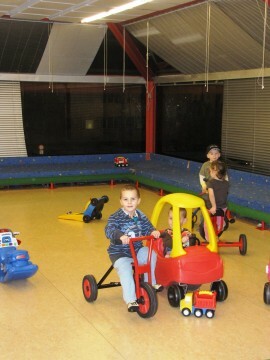 You can either park in the underground carpark or choose outdoor parking. 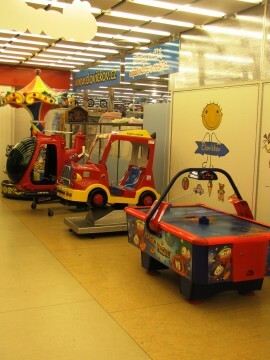 I would recommend the underground car park because when I parked outdoors I got completely lost in the maze of the shopping centre DBK and couldn’t find the way to the Indoor Playground. Eventually I found my way to the lift which took me to the 3rd floor. Clovickov does not provide babysitting for kids. You can either sit inside watching your kids or outside in a cafe. If your child doesn’t need constant supervision you can work on your laptop while waiting for them as Wi-Fi can be accessed from the front tables - by picking up the signal from the cafe downstairs. There is is similar set up as in Clovickov in Metropole Zlicin for birthday parties, but it isn’t a separate room: just kind of a separate corner with a table for the birthday group. 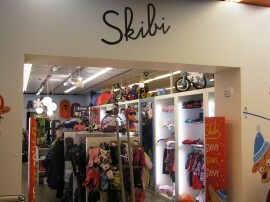 On the same floor where the Detsky Koutek (Indoor Playground) is, there are many shops for kids. 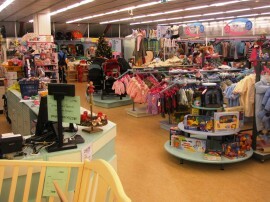 Toys, clothes, prams - quite a big choice. How clever! 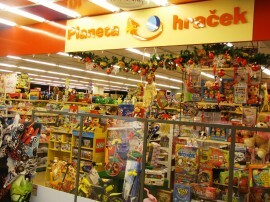 As you have to pass these shops on your way to the Playground. 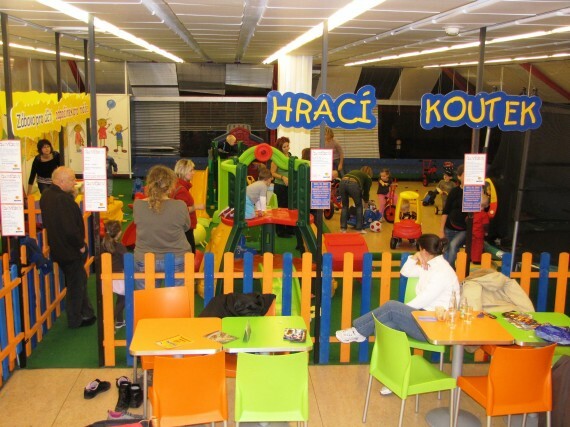 You might like to prepare some 10 CZK coins because before you enter the Cafe with Playground there are several coin operated machines like trains and helicopters. I saw two kids in front of them, on their knees throwing tantrum. Good luck there! 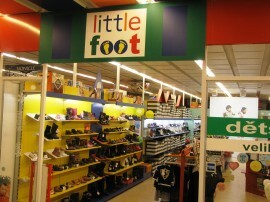 The Food Court is on the bottom floor as well as the grocery store BILLA. I took the boys downstairs to eat but I wasn’t convinced by the quality of the food. The only decent looking ones were Pizzeria Coloseum and Jarmark Restaurant although I didnt have time to sit there and wait for the order. The Food Court had been constructed according to the Feng-Shui style. It didnt work for me. So i just went to Billa bought some rolls and ham and happily fed my demolition squad in the car. On their web they promise a new Green Zone that is being created on the roof of the shopping centre. Their you can rest from shopping and the rush inside. I didn’t try it, maybe someone who has been there can make a comment below for us, because none of us KidsInPrague girls live in this area. 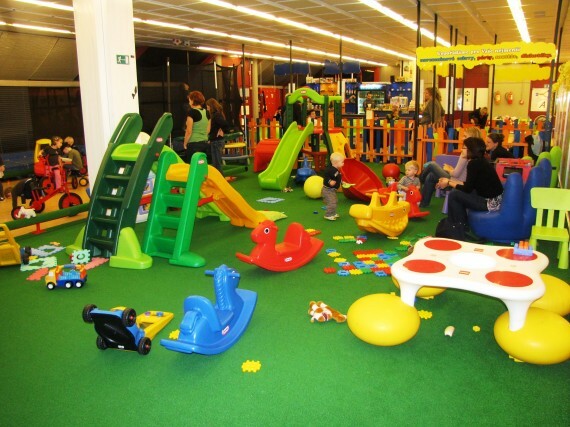 In general, it was not a bad experience but if I ever go to Prague 4 I would rather go to the Arkady Shopping Mall with a Time Out Indoor Playground that is 5-8 min away from here by car. DIRECTIONS: By METRO: Red line C Metro to Budejovicka stop. Follow signs to DBK Shopping Centre. By BUS: Bus numbers: 118, 121, 124, 192, 193, 148, 205, 331, 332, 333, 334, 335, 337, 339, 362, 369 to the bus stop Budejovicka. By CAR: best to enter parking from Antala Staska Street.